This article was recently published in the open access journal Sustainability. Based on the case study of Barcelona, the author explores the problem of how city authorities can proactively set up policies, strategies, and initiatives to locally enhance digital rights, and give citizens more control over personal data by protecting them from discrimination, exclusion, and the erosion of their privacy. Against the backdrop of the General Data Protection Regulation (GDPR) taking effect in the European Union (EU), a debate emerged about the role of citizens and their relationship with data. 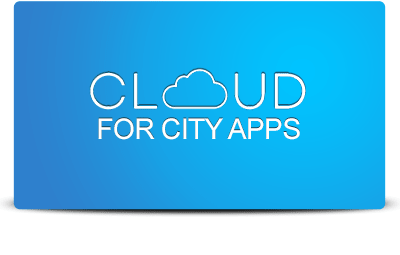 European city authorities claim that (smart) citizens are as important to a successful smart city program as data and technology are, and that those citizens must be convinced of the benefits and security of such initiatives. This paper examines how the city of Barcelona is marking a transition from the conventional, hegemonic smart city approach to a new paradigm—the experimental city. 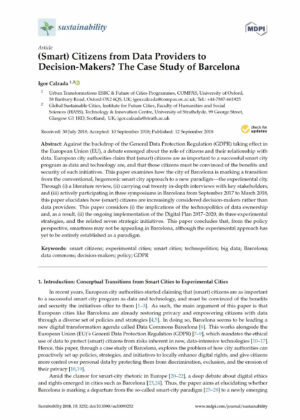 Through (i) a literature review, (ii) carrying out twenty in-depth interviews with key stakeholders, and (iii) actively participating in three symposiums in Barcelona from September 2017 to March 2018, this paper elucidates how (smart) citizens are increasingly considered decision-makers rather than data providers. This paper considers (i) the implications of the technopolitics of data ownership and, as a result, (ii) the ongoing implementation of the Digital Plan 2017–2020, its three experimental strategies, and the related seven strategic initiatives. This paper concludes that, from the policy perspective, smartness may not be appealing in Barcelona, although the experimental approach has yet to be entirely established as a paradigm. Table 1. Conceptual transitions from smart to experimental cities. Source: Current article. Read and download the whole article here.